Tires are completely responsible for transmitting the forces of accelerating, braking, and steering to the surface of the road. They’re actually your car’s most important component for safety, performance, and efficiency, but they’re often overlooked. Having the right tires, properly installed, balanced, inflated, and rotated, is one of the most critical parts of routine auto maintenance. Ignore your tires, and your vehicle won’t drive or ride properly, your tire tread wear out faster, and cost you more at the pump. Action Gator Tire is your trusted source for tire sales, installation, balancing, rotation, and repair services in Central and South Florida. 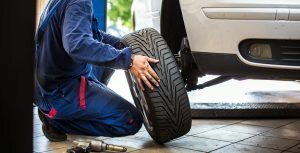 Our tire experts are here to help you with anything from selecting the right tires to keeping them properly inflated and performing as designed for thousands of miles. Keep reading below to learn more about our full set of tire services. Our experienced tire experts are happy to educate every custom about their tire needs and choices. We’ll help you understand exactly what size tires your car needs as well as the best tires to choose for your goals with performance, fuel efficiency, comfort, and wet-weather driving. We want to be your trusted go-to tire shop! Contact or visit your nearest location today, and we’ll have you covered at all four corners. After we help you select and purchase the perfect set of tires, you’ll need them professionally mounted to your wheels. Action Gator Tire offers expert tire installation services, removing your old tires and mounting your new tires with speed and precision. Then, we reattach your wheels to your vehicle securely so you’ll drive away with safety, efficiency, and performance. Find your closest location today and get in touch with us for the best in tire installation services. After mounting your new tires to your car’s wheels, they’ll need to be balanced carefully to ensure they rotate smoothly at any speed. To do this, we use state-of-the-art computerized systems to analyze the weight distribution in each of your wheels and tires. Then, we use carefully designed wheel weights to correct any balance issues with the highest levels of precision. With Action Gator balancing your tires and wheels, you’ll enjoy a smooth, quiet, comfortable ride everywhere you go. Most vehicles on the road do not distribute their weight evenly across all four wheels. 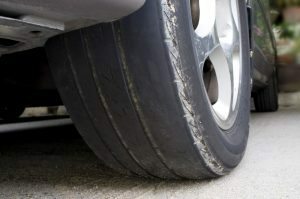 This causes your car’s tires to wear differently, especially as your front tires must often handle the weight of the engine and the forces of accelerating, braking, and turning. That’s why rotating your tires regularly is important. We’ll help you understand when it’s best to change specific tires’ positions to help ensure even tread wear and longer life for the whole set. Modern tire rubbers are incredibly tough and durable, but they’ll never be totally resistant to punctures, tears, leaks, or tread loss. Anything from a nail or screw to a sharp rock, broken glass, or any pointed debris can put a hole in your tires and keep them from holding the proper air pressure. Just bring your flat tire to your nearest Action Gator Tire, and our experts will advise you on the proper tire repairs to perform, from patching punctures to retreading full sections of damaged tires and beyond.